Starbucks will eliminate plastic straws from its globally stores by 2020 to reduce environmental plastic pollution, the company says. The use of plastic lids has been criticised by some consumers. 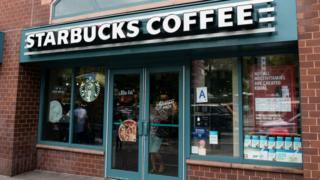 The decision was motivated by requests from partners and customers, said Colleen Chapman, vice-president of Starbucks’ global social impact in a statement. Starbucks’ announcement included statements of support from organisations such as the Ocean Conservancy’s Trash Free Seas programme and the World Wildlife Fund, praising the company for its straw ban. The last (plastic) straw: Which companies banning them? Starbucks’ pushback against plastic has drawn a mixed reaction. M Sanjayan, CEO of Conservation International, issued a statement saying that 500m plastic straws are thrown away every day in the US and lauded Starbucks for its “meaningful action to protect our oceans”. 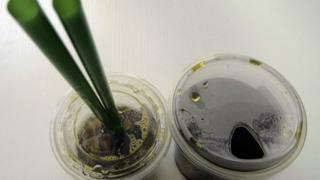 But many consumers have criticised use of a plastic sipping lid as the replacement for straws. “*Gets rid of plastic straw *Replaced with large plastic sipping lid,” wrote one Twitter user. Others voiced concern for those who rely on straws due to disability. “What about disabled people who rely on straws? I often can’t drink or eat without them,” a customer tweeted. Starbucks has been quick to defend its decision on Twitter. While plastic pollution has long been the target of environmental groups, the impact of straws on marine life has recently moved to the centre of plastic-banning efforts. The straw-specific concern garnered widespread support after a 2015 viral video showed rescuers removing a plastic straw from an endangered sea turtle’s nose. Since then, social media movements, such as #StopSucking have attracted the support of celebrities like Ellen Pompeo, Adrian Grenier and Neil DeGrasse Tyson. The anti-straw movement has concentrated on the destruction of marine life caused by plastics. A July 2017 paper published in the journal Science Advances by industrial ecologist Dr Roland Geyer, calculated the total volume of all plastic ever produced at 8.3bn tonnes. Of this figure, 6.3bn tonnes are now waste and 79% has accumulated in landfills or the natural environment. An estimated 10m tonnes of this plastic currently ends up in the oceans every year. But despite rising popularity of the straw-banning trend, it is unclear how much straws specifically should be blamed for marine pollution. Scientists Denise Hardesty and Chris Wilcox examined trash collected on US coastlines over five years to estimate that there are almost 7.5m plastic straws lining the country’s beaches. This figure is eclipsed, however, by the nearly 9m tonnes of plastic that end up in oceans and coastlines all over the world, according to a study published by University of Georgia professor Jenna Jambeck in the journal Science. Still, plastic bans are gaining momentum. Starbucks has joined a growing list of companies, like the White Sox, Alaska Airlines, and the BBC to institute plastic-curbing policies.